It's hard to believe that Samsung may be successful on the smart speaker market with a device powered by Bixby, but the South Korean company plans to launch a new product in this category next year. Many of you probably don't know that Samsung showcased a premium smart speaker called Galaxy Home several months ago, but that's probably because the smart speaker hasn't yet made it to market. Although Samsung didn't announce how much the Galaxy Home will cost, it's more likely that the smart speaker would be direct Apple HomePod competitor rather than a Google Home or Amazon Echo rival. In an attempt to bring its smart speaker to more affordable prices, Samsung is working on smaller, cheaper Galaxy Home, SamMobile reports. Unlike the original Galaxy Home, the smaller version is expected to pack fewer microphones and premium features. The smart speaker will still be powered by Bixby, but it will aim the mid-range tier rather than the premium one. 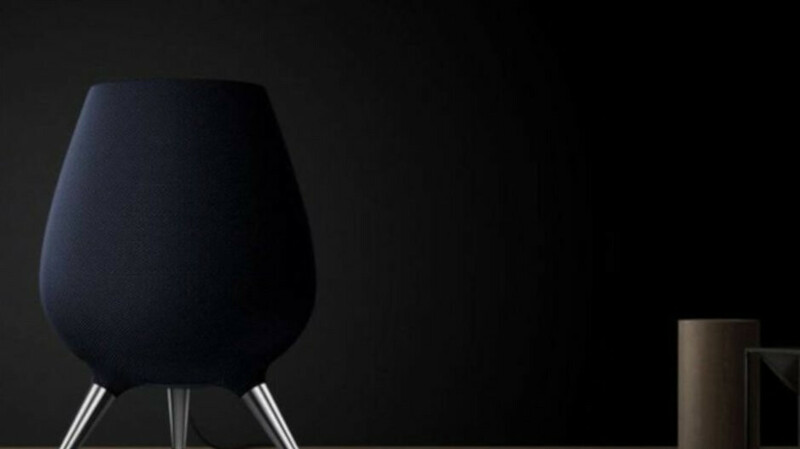 Even so, Samsung's upcoming Galaxy Home Mini will have a hard time competing with Google Home and Amazon Echo, which are among the best-selling smart speakers on the market, and Bixby doesn't help either. At least Bixby is better than Siri, because Bixby supports capsules. Which is almost like Google Assistants Actions, or Amazon Alexa's skill kit. However Bixby still has a long way to go. Bixby is useless. No wonder why Samsung fans hated the Bixby button and remapped. The just copy apple line up. Well anyone with half a brain realized that Siri is a piece of crap, and doesn't allow anyone to extend her capabilities directly (behind the scenes, or server level). Bixby at least does, and already has a lot more skills than Siri. Sure Apple has Sirikit, but that is most definitely not the same as Bixby, Cortana, Google Assistant, and Amazon's Alexa. All of which allow developers to extend the AI on the back end or server based. Apple and their Siri doesn't allow any of that. With Sirikit you have to create an iOS app, which is crap in comparison to the others. It's also one of the main reasons why Amazon's Alexa has 12,000 devices today, and Google's Assistant has 10,000 devices. To Apple's few hundred HomeKit devices. Now I brought Apple's HomeKit into this as well because for the other platforms they have integration as well. For instance there is $40 alarm clocks that run Google Assistant or Amazon Alexa, to light switches that have built in assistants, to thermostats with AI voice capabilities nowadays, you can even buy inexpensive SBCs like Raspberry PI's that run either Alexa or Google Assistant. There is lots of other appliances that have AI capabilities for either Alexa or Google Assistant, or both. There is even $25 smart speakers that can run all those skills or AI apps that developers created to extend those AI platforms. Apple has nothing to combat this, because Siri is a closed platform, as well as HomeKit is too limited and restrictive. Look I know you love all things Apple Peaceboy, but ask yourself this. Why do you think Apple made their Apple music available on Amazon's Alexa smart speakers? Especially when there was all these rumors spreading around from the Apple sheep that Apple was going to a cheaper HomePod. But then that is another question to ask yourself. If Apple was going to release another cheaper version of a HomePod, then Apple wouldn't have made their Apple music available to Amazon. So I will bet a million dollars that Apple is never going to release a cheaper version of the HomePod now, especially when Siri is a piece of crap in comparison to the competition. The only way Siri can truly come back and be useful on inexpensive devices or the smart home arena is when Apple opens up Siri. As it stands today Bixby is growing more than Siri. Both Google Assistant and Alexa are the best. Google Assistant understands more, and is truly the leader. I am sure this will be better than HomePod. Bixby is just better than Siri. I tell ya what. I use Siri and HomeKit to control about 30 items in my house and works perfect. I couldn't care less about the other stuff. I also have Google Home and 4 Alexa's spread out which I use for music and works great. Reason Siri and HomeKit for me is one app and I do not have to make accounts for all these different manufacturers just to control my house. Looks like a cow's udders. Or as Beavis once said "I thought it was a big sack with a bunch of weiners attached to it."